Good Hope Adventures offer an exclusive tour around the historic tunnels and bunkers which live beneath the vibrant city of Cape Town. We got in contact with the company, hoping to learn more about the experience itself and the history behind it. Take a look below! 1. What is the history behind Good Hope Adventures? Good Hope Adventures is mostly about history. You have to know what happened in the past to plan for the future. I studied History, Design and Architecture and have lived in Cape Town for over 40 years. I know my City, and everything it has to offer. Many of my local clients come to hear and enjoy my stories which I started offering in my Tours since the Soccer World Cup. 2. What makes your underground tunneling experience unique to others? Cape Town is world famous for the majestic beauty of Table Mountain, which seems to embrace the City in rocky arms, and seeing tourists and residents alike walking around her streets looking up at the spectacular sight is a common occurrence. 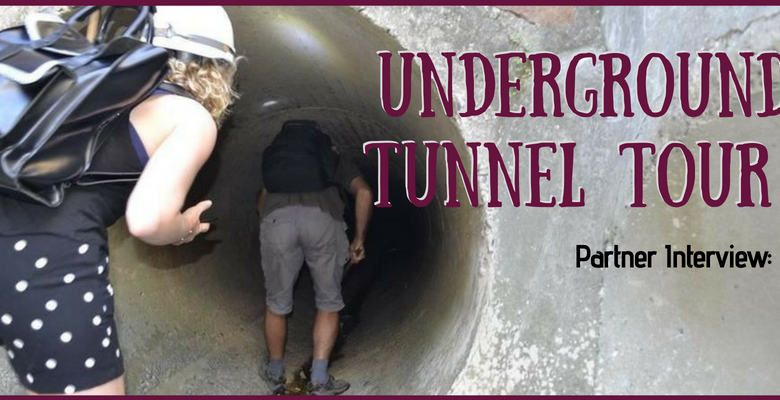 If anyone loves Cape Town and/or its history, whether you’re a resident of or visitor to the City, a few hours with Matt in Cape Town’s tunnels will reveal the City to you in a whole new light… and I’m not just speaking about the headlamp you must bring along with you! Matt provides a truly amazing historical look at Cape Town, unlike any tour I have ever or been on. His talk will leave Capetonians proud and horrified at the same time. The City’s tunnels basically began as canals built in various stages as the City’s waste water system that used to flush into Table Bay. Over time, the waste water system was updated and improved. Until now, most of these old water canals lay unused beneath the City, although mountain and spring water does still flow through them into the sea. Surprisingly, the tunnels are remarkably ‘clean’ and you are unlikely to see a single sewer rat although there is a faint ‘musty’ smell in some places. However, not all the tunnels are old sewers. There is an old Post Office Tunnel, some ‘secret’ tunnels for military purposes, and even some old bank vaults and old private tunnels. It really is fascinating to see the old brick and stone work, and to recognize the various periods of construction as pointed out by Matt. It is quite staggering how much the City has changed since the first white settlers landed here, and it is equally impressive to see all the hand-formed stone-masonry, which is as good now as it was 300 years ago! 3. What would you say to anyone feeling anxious about underground tunneling? Not to worry. We even have a Wheelchair friendly Tunnel Route. It is dry and warm down there. There are plenty of exits and doors, and if you really are afraid of the dark…just hold someone’s hand. We will get you in and out safely. 4. Do you offer any special events or challenges within your experience? Yes, there are many strange things we have done Underground. From filming to commercials and music bands composing new songs. Treasure Hunts, Children Parties, Birthday Parties, Bachelor or Hen Parties. Halloween or a Zombie Tours. 007 Secret Agents, Ghost Tours and Military Historic Tours. The list is endless. 5. Talk us through an underground tunneling activity. The tour group is expected to arrive at 10:30am, This involves a meet and greet, as well as a safety briefing before getting started. You will need to ensure you are wearing non-slip shoes and have a torch at hand. A history of the tunnels will be told followed by a trip to the viewpoint to overlook Table Bay. An explanation of compass bearings, the importance of Table Bay and the signalling system will be given as well as other informative subject talks. 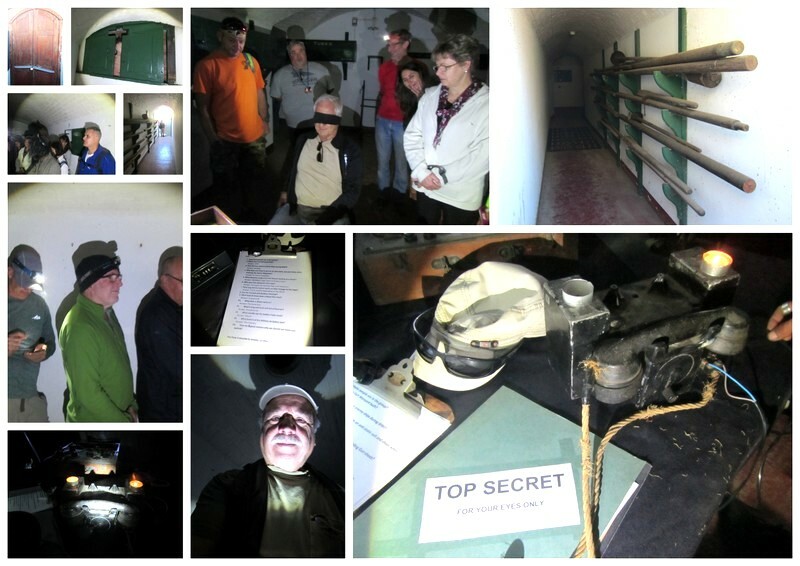 You will then head underground into the tunnels and bunkersto explore the hidden secrets of the city. For some laughs, attendees will participate in games, one being the questioning game, with lots of the tools and goodies. Then, back up through the tunnels to the parade ground emplacements to see what else we have discovered. There will be a firing of the Noon Gun before heading up towards the Cannon Park. Here you will come across various cannons which have been donated to the cannon museum dating back from the 1600s all the way to modern warfare today. We will then offer you refreshments at our bar to complete the experience. 6. What do you enjoy about working for Good Hope Adventures? We are a team of Guides that create unusual, specialised, and exclusive Tours. “Shaken NOT stirred” Book NOW or never! A special thanks to Good Hope Adventures for completing this interview with us, it was a very interesting read. Good Hope Adventures looks like a fantastic business – and this looks like an enjoyable experience with a difference! Success! Your comment has been submitted and is pending for review.